According to the official statistics, there are 33 Gili Islands in Lombok. That’s right – there are more than three. However, some of them aren’t even mapped and only the locals know about them. As for Gili Petagan, it’s one of the sweetest spots for the fans of solitude and tranquility. It’s not nearly as popular as Gili Air or its neighbors but can still generate a decent tourist flow during the high season. The saddest thing about certain landmarks in Indonesia is the fact that very few foreigners known about them, even though they do deserve a visit and rave reviews. Today our focus will be on Gili Petagan, but I’ll also tell you a bit about the area and other interesting places. The exact address is Labuhan Pandan, Sambelia, East Lombok Regency. According to the experts, this is the most “uncharted” and virgin part of Lombok. Most folks there live in villages and make a living on fishing, weaving, and crafting. The entire regency is covered by beautiful beaches with picturesque views. The world-famous Kuta beach is located in the south; Petagan, however, can be found in north-east. It can be reached on a boat that the tourists are free to rent on the shore. During the low season, you’ll be able to rent/take a ride on a boat from the local fishermen for almost nothing. But during the high season, they usually increase the price (still affordable, though). What Is Gili Petagan All About? I’ve had the pleasure of discussing this part of Lombok with some locals and they told me that every single Gili in Sambelia is perfect for one thing. 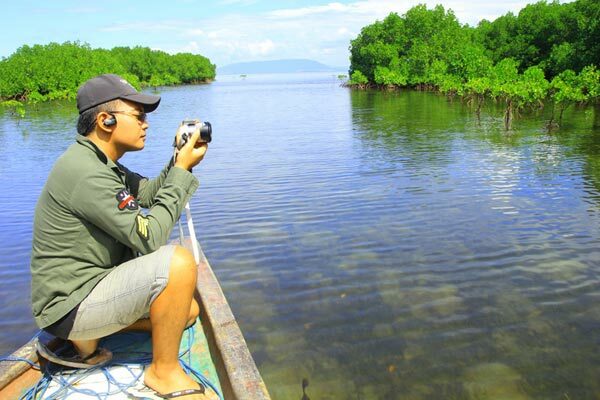 For example, Gili Petagan is home to an amazing mangrove forest. Kondo is best for camping out with your friends and having fun under the burning sun. Note: if you travel there alone, it might be a bit boring. Bidara, in turn, is all about swimming, diving, and snorkeling. There are numerous exotic fish in the water near that island and you’ll have an amazing experience there, especially with a camera in your hands. And finally, Pasir is covered in white sand and will be great for a loner that wants to be left alone with his/her thoughts. As you can see, there’s enough to choose from. Gili Petagan is the biggest island in the vicinity; yet, in order to get the most out of your trip, I’d highly recommend paying its neighbors a visit. All you’ll have to do is ride the boat for 10-15 minutes while admiring the view. That way, you’ll turn an average visit into a big journey, an adventure to tell the grandkids. Petagan is a decent pick if you’re going for that Amazon jungle atmosphere. As mentioned earlier, the island is covered in a beautiful mangrove forest. It looks lovely and the tourists usually end up taking hundreds of pictures and selfies, because you won’t find anything like that back home. It’s important to note that this isn’t an uncharted island, meaning there are some bridges and roads that will take you to the best spots with some marvelous views. Take a look at those pictures: can you see the trees/plants all over the place, growing from underneath the water? They look even better in real life, especially when it gets dark and the sun begins to set. It is very important to know in advance what to expect from Gili Petagan so that you aren’t disappointed once you get there. For the fans of playing games on the beach, sitting in a comfortable chair at the shore, and getting a tan, this isn’t really the best place to pick. On the other hand, if you’re tired of the temples, waterfalls, and, again, beaches, don’t hesitate to pay this island a visit. Walking around on those bridges and putting some fancy equipment on for snorkeling: that’s what you’ll be doing 90% of your time in Gili Petagan. The government of Lombok made a wise move by leaving everything as it is there and that is exactly why the fans of exotic trips love it so much. It is natural and the air is magical. The forest creates amazing vibes and standing right in front of it all, the tourists will feel like they’re on another planet. Just make sure not to fall off one of those bridges, my friends! What Is There To Do On This Island? Аrom Gili Petagan, you will be able to see the majestic Mount Rinjani. Just imagine the unbelievable scenery that involves the 2nd-tallest mountain in Indonesia, the turquoise water, and the ever-clear sky. Thanks to the mangrove forest, this entire area is very clear (or, rather, pure), as the trees take care of all the toxins in the water. As for good old trash, the foreigners won’t see any plastic bottles and bags lying around. During the wet season, especially when the wind is strong, the currents might bring all kinds of rubbish from all over the place. But during the dry season, these islands and the East Lombok beaches are nice and clean. Interesting fact: the mangrove forest in Gili Petagan is a relic of the Japanese Invasion during WW2 and is a great symbol of strength, dedication, and self-sacrifice. Under the water, the corals paint some breath-taking pictures worth a thousand photographs. Up there, on the island, there aren’t any wild animals (some foreigners believe there are, for some reason) – only the birds will welcome the visitors with their chirping. It will feel like you’re stepping into the unknown and Gili Petagan is the legacy of a long-gone civilization. At least, that’s what I experienced on my trip there. Make sure to reach the middle of the island: the most beautiful trees grow there. Obviously, there aren’t any restaurants, cafes, warungs, or even food stalls on this island. Same goes for the hotels/guesthouses. That means for a long trip, it would be best to pack that bag of yours with some tasty snacks and cold drinks. Some people like to bring hot meals with them, but please take the climate into consideration and don’t let those meals go bad before you eat them. Water, coconut juice, soda, and chips can last for several days, which makes them perfect for a trip to Gili Petagan. However, a couple of hours are more than enough to walk around the place and take selfies with your friends. I honestly can’t imagine anyone spending a whole week there. As mentioned in the beginning, don’t hesitate to pay the other Gilis in the area a visit. The beaches on the eastern shore of Lombok are lovely, but only a stranded island is capable of creating that “tropical” atmosphere. Because of the trees and the water right underneath your feet, it’s not as hot in Gili Petagan as anywhere else in Lombok. Don’t forget to grab some dry clothes if you’re planning on swimming, though. That’s pretty much all you need to know to enjoy this journey. One last thing: in order to protect yourself from the mosquitos that live there, use a repellent. Otherwise, you might get some nasty bites on your skin. If you’re in the International Lombok Airport right now, prepare yourself for a long ride to the other side of the island. It is located in the north-eastern region, while our destination is in south-eastern Lombok. The road is quite long – up to 85 kilometers – and will take more than two hours to get there. The good news is – the tourists will be driving along the eastern shore and will get a chance to check out Sumbawa on the right. The bad news is – if the foreigners decide to rent a car/bike and drive all the way up to Gili Petagan, the ride might take all of their strength and they’ll arrive there tired and unenthusiastic. Hiring a taxi seems like the best course of action here. From Mataram, they’ll be driving through Central Lombok and experience a different side of the island. Again, it’s gonna take 2 hours and +/- 30 minutes. There are two routes here: through the very heart of Lombok – the center of the capital – or a tiny detour further down south to avoid the cramped up main roads. Once you arrive at Pulau Lampu, Port Office Labuhan Lombok, or the Padak Guar Harbour, ask the locals about getting to Gili Petagan. Even if you’re not fluent in Sasak, they’ll understand exactly what you need and point you in the right direction where you’ll be able to rent a boat and head towards the tiny island. All those bridges, the tall trees, and the crystal-clear water will get you in the "Indiana Jones mood" from the get-go! If will get lonely there after a couple of hours, unless you're on a honeymoon or a spiritual journey. Don't let the fact that Gili Petagan isn't the most popular island scare you: the mangrove forest is one of the best things I've ever seen! They charged very little for the boat trip, probably because there were 4 of us and we also rented the boat for 2 days. The Mangrove Forest in Gili Sulat is also lovely - make sure to check it out as well.